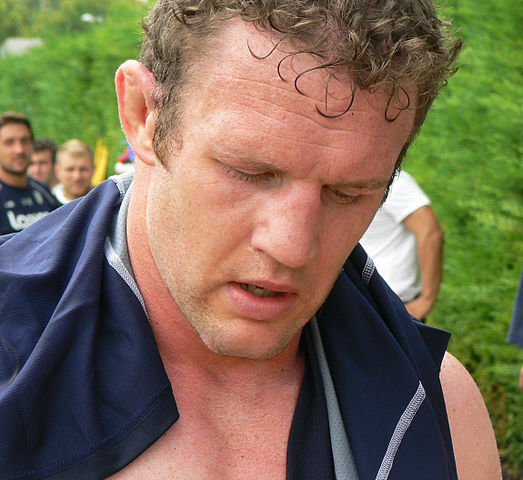 Origin Fitness brand ambassador and Scottish Rugby Legend, Jason White, is regarded as one of the national side's most influential players and strongest forwards of recent years. He has played at a level of rugby that we, here at Origin head office, can only dream of. So we've put some questions to Jason in order to find out what it takes to achieve and maintain the fitness of a pro rugby star. Origin - The view a lot of people have is that pre-season training is always the really physical training to get players to the level of fitness they need to be at to compete come day 1 of the season. At the highest level of the professional game though, is that less of a concern because there is an expectation that players are paid to keep themselves in this peak shape? Jason - All the players know that they need to arrive for pre season in a decent state of fitness. You can have a couple of weeks doing nothing or very little after the end of the season but most players will start doing some sort of training after that. That being said, no matter how fit you are for the beginning of pre-season, it's always tough and can be quite unpleasant at times. Origin - Lots of athletes, even everyday trainers now have a lot of emphasis on using things like foam rollers and resistance bands for flexibility and recovery. Is this something that has always been part of your training given that rugby is such a physical sport? Jason - When I first went professional back in 1998 there was very little use of foam rollers and preventative work. That changed dramatically over the years and now it is the norm for every player to have an individual program program to focus on. For me it was very important in the last few seasons that I played as I needed to work hard to keep my body going due to the physical nature of the game. Origin - Another aspect of recovery that players are taking much more notice of is nutrition. In order to minimise recovery time, what should players be looking to do in the 24 hours after playing; both in terms of exercises, stretching etc. and the food/drink they take on? Jason - Immediately after a match you should have a recovery drink and try and eat some food. It was always important to rehydrate as much as possible. We would also use ice baths after a game and then do some stretching in the pool the day after a game. Origin - (Assuming nutritional supplements are part of this recovery process) How much of a role do supplements play in the nutrition plans of pro rugby players? Jason - This varies depending on the individual player and the fitness coach at their club. I always used protein shakes to recover from both games and gym sessions. At different points during my career I used creatine as well. I would say though that supplements are much more widely used and are now popular with professionals and amateurs alike. Origin - The fitness industry is always experimenting with the latest ‘trends’, HIIT and Suspension Training are two examples that are really prominent with both the everyday gym user and high level athletes. 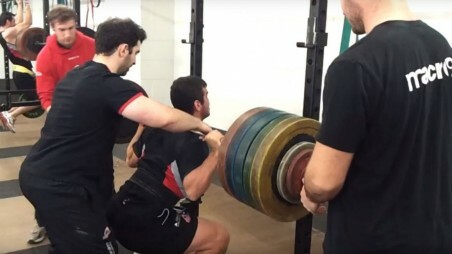 Obviously rugby teams are always looking for a way to get an edge over their opponents so, do new exercise innovations or ‘trends’ ever find their way into the programme of a pro rugby player? What’s the strangest kind of workout that you’ve found yourself doing? Jason - Each fitness coach will have their own preference on styles of training. For example CrossFit type training is something that has become popular in rugby circles recently. The strangest workout would have been pre-World Cup 2003 when we did rowing sessions in the Botanic Gardens in Edinburgh to replicate the humidity we would have during the tournament. Origin - With regards to fitness and conditioning being more of a factor now at all levels of play, what are the key areas you would advise aspiring players to be focusing on; speed, size, power? Jason - The modern rugby player needs a good mix of all three. Alongside the fitness coach, players should identify areas to concentrate on that will improve the weaker aspects of their game as well as those which are key to being able to perform the specific position they play in their team. Origin - What does your weekly training programme look like nowadays compared to what it was like during your playing career? Jason - I try and do at least 1 weights session a week and 1 cardio session. I would prefer to do more but finding the time has been a challenge due to working and having a young family. I need to use short intense sessions to work round the problem. Origin - (Finally, a question from one of our rugby enthusiasts in the office) You were always known as a big tackler, did you feel that it was down to you having a high level of conditioning or was it to do with the mental attitude you took into games or perhaps a combination of both? Jason - It was a mix of both, I needed to have a strong strength and power base to let me make the tackles but more important was my timing in the tackle and technique. This entry was posted in Knowledge & Advice, Training Guides on 2nd August, 2014 by Colin Evans.